TUV Rheinland Middle East, the global testing, inspection and certification organization, said Saudi Railway Company (SAR) has achieved a major milestone with the full implementation of the European Railway Traffic Management System (ERTMS) - European Train Control System (ETCS) Level 2 signalling system. Handing over of the Independent Competent Person (ICP) certificate by TUV Rheinland Middle East marked the formal acceptance by the Public Transport Authority of the full implementation of ERTMS - ETCS Level 2 signalling system. This is a globally significant achievement in the railway industry since, according to UIC data, SAR's 2,400-km network has become the longest single line, ETCS Level 2 signalled, mixed freight and passenger service rail network in the world. Since securing its first contract with SAR in 2011, TUV Rheinland has played an important role in the development of the kingdom's railway infrastructure as a global testing, inspection and certification organisation. 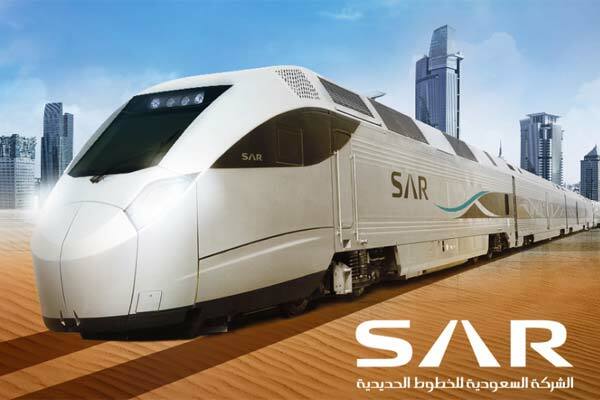 Its Middle East chapter has worked alongside the SAR organisation on each phase of the development of its railway network, which is recognised as a critical part of the railway infrastructure serving the GCC states. Stephane Riverain, TUV Rheinland Middle East's senior consultant and project manager, presented the ICP certificate and Letter of Assurance to Dr Bashar Al Malik, the chief executive of SAR during a key ceremony held at SAR's headquarters in Riyadh. "I would like to congratulate and thank the various individuals and departments at the SAR for their cooperation and support on this process for the last four years," stated Riverain. The TUV Rheinland Middle East Rail Team recently certified the SAR's North South Railway, which operates ETCS Level 2 equipped passenger trains supplied by CAF, as well as freight locomotives supplied by EMD, hauling minerals and cargo. Thales Transport provided the signalling system. "TUV Rheinland has a well-established and recognised expertise in ICP related assessments for railway infrastructure managers and operation and maintenance organisations, both globally and in the Gulf region in particular," said Ruben Zocco, the director of mobility - Rail for TUV Rheinland Middle East. "As a rail safety certification service provider, we are proud to have played a significant role in the assurance process of this extensive network and look forward to participating in the future development of one of our key customers in the Kingdom of Saudi Arabia," he added.